Students of Navesau Adventist High School preparing for the TC Keni on April 10,2018. Photo: Selita Bolanavanua. Many had hoped that 2018 would not be hit by natural disasters. But Tropical Cyclone Josie and now Tropical Cyclone Keni have dashed that hope. The Western Division first felt the brunt of TC Josie. Now it is feeling the impact of TC Keni’s fury. All these natural disasters cost us heavily in terms of human lives and damage to properties, crops, buildings and infrastructure. In other words, they hit our economy hard. The cost of damage would probably run into millions of dollars. Government has already started providing relief and rehabilitation in those areas already hit by TC Josie. It has also warned people to expect the worst as the weather pattern keeps changing because of climate change. It has been scientifically proven that climate change is caused by human activities that upset the balance of nature. Increased carbon emissions are blamed for global warming, sea level rise and wild weather events. While our carbon emissions are negligible compared with those recorded for more developed and richer industrialised countries, we bear the full force of climate change-induced natural disasters. It is not fair, but that’s the reality we have to live with. While Prime Minister Voreqe Bainimarama has put a lot of focus on our predicament, his Government has made adjustments to try to cushion the impact of natural disasters. It is not sitting around just talking, it is doing something about it. We know that Government has already factored in climate change in economic planning and the national Budget. Meanwhile, people should also now start their own disaster funds. Disaster preparedness should include food and water storage. We can start by having three months’ supply and gradually build to reach one year’s supply. This will come in handy when shops are closed. It will help build our climate change resilience. Financial preparedness will also help victims rebuild after a disaster. As we build our self-reliance, we can reduce our dependence on Government assistance. Having a cash fund will make the transition easier and make you less frustrated with your insurance provider or bank. It has to be liquid, meaning it is accessible. This means that the savings account allows easy and fast transfers, so you’ll be able to access your money instantly. Most of the disaster preparation is up to you in an effort to avoid having to deal with difficult situations, especially with financial institutions. Always keep important documents in one central place (like a safe) and have emergency cash stored together as well. If you have an insurance policy, keep copies of it in a safe place too. Even though your agent will have them on file, it’s important to make sure your end is covered. Even if you’re relying on insurance coverage to get you through a storm, you want to also have your own preparedness systems in place. Safety comes first, but also ensure that you also have financial safety because in the event of an emergency, it will make sure the life you’re protecting is a life worth living. While the current cyclone season may be toning down, use this time as an opportunity to plan for the next natural disaster. 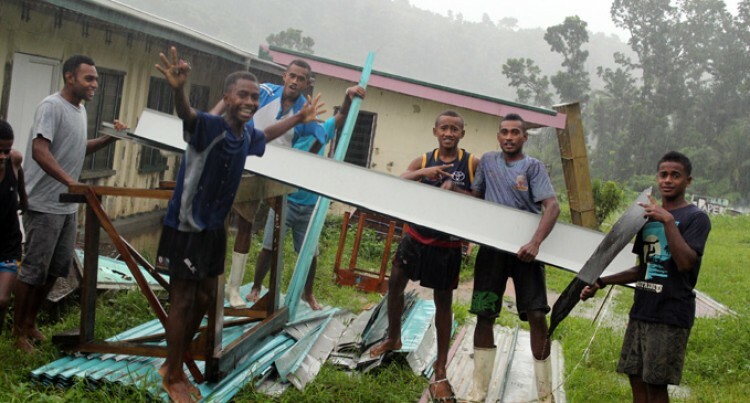 cost of damageFIJI NEWSMaraia VulaPrime Minister Voreqe BainimaramaTropical Cyclone Keni.